Kindle and Kindle Audible editions also available. "This is an account of Lewis’s experiences following the death of his wife Joy Davidman. 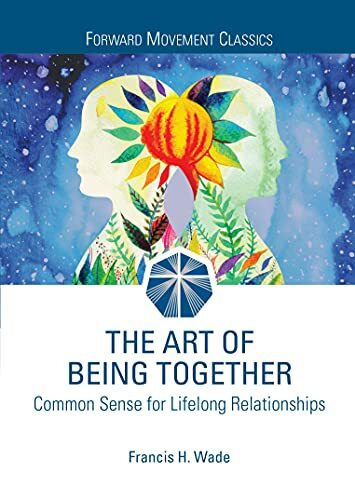 As Madeline L’Engle writes in a Foreword, “Reading A Grief Observed during my own grief made me understand that each experience of grief is unique. ..."
Kindle and Kindle Audible also available. "After reading A Grief Observed, I turned to Surprised by Joy. For those who have not read this book, it is Lewis’s journey from Atheism to Christianity..."
This is another book that I would recommend to those who are experiencing grief of any kind..."
"This is a novel about the experiences of a young blind girl beginning in Paris and moving to the small town of San-Malo and a young German boy whose lives intersect at the end of World War II. It is a story of hope in the midst of terror and war." "This book chronicles the life of a minister in a small Midwestern town, Gilead, Iowa in the late 1800’s-early 1900’s..."
Not yet published. Due in April 2016. This is a KINDLE edition. Also available in the Bishop Payne Library. 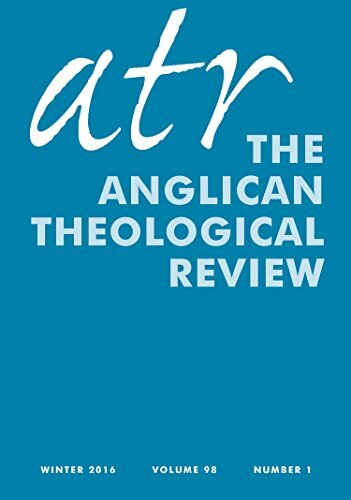 The two Practicing Theology essays included in this issue are both written by bishops and thus offer a perspective of what the church is doing at the diocesan level: “The AGAPE Economy” by Julio E. Murray speaks to the situation in Panama and Latin American, while “Co-Creating the Common Good” by Ian T. Douglas addresses how the church in Connecticut is seeking to collaborate in the mission of God in their context of extreme inequality within that state. "It is a deceptively short book. Read as a whole it is the finest, most accessible description of Christian discipleship that I know. Read carefully it is one of the most elegant works of systematic theology I have digested..."
"Pilgrim is an attractive and affordable curriculum to build a solid foundation for contemporary Christian life..."
"Finally, there is a theologically and culturally sophisticated analysis of contemporary teenagers and their seemingly insatiable appetite for all things digital..."
"Eagerly anticipating the opening of the Smithsonian Museum of African American History and Culture and recognizing Congressman John Lewis’ indefatigable commitment to it, I began reading the award-winning March Trilogy. And I couldn’t put them down..."
"Scrolls of Love, is an edited volume that focuses on Ruth and the Song of Songs. The essays engage these books from a variety of perspectives including art, literature, history of interpretation, biblical studies and theology. The book has two sections: section one focuses on “Reading Ruth,” “Reading Ruth’s Readers” and “Re-imagining Ruth.” ..."
"Jerome Creach’s book is part of the “Interpretation: Resources for the Use of Scripture in the Church series” by Westminster John Knox Press. Violence on the part of God and the characters in the Bible is a tremendous stumbling block to people of faith. Creach’s systematic and scholarly treatment is directed towards this audience...."
"The critically acclaimed novel, Americanah is a beautifully written love story that delves into issues of identity, race, culture, immigration and gender with an honesty that is breathtaking. ..."
"This work of thorough scholarship is a delight to read. Winner of the 2004 American Recorded Sound Collection’s Award for Best Research in Recorded Rock, Rhythm & Blues or Soul, Reed’s book looks at the often uncomfortable, but nonetheless vital, connection between secular and sacred music in the African American tradition...."
relationships, but also could serve a wonderful resource for pre-marriage counseling...."
"In our culture of speed, noise, and distraction, Laird calls us like an ancient mystic to focus on the present, to sit in silence so still that one can hear the heartbeat of God...."
The Franciscan Heart of Thomas Merton by Daniel P. Horan O.F.M. "You might think there is nothing else to be said about Thomas Merton, but this book might change your mind... I have a long familiarity with Merton, but this book brought certain lines of his thought into a new perspective for me." and practice of the Eucharist in light of this central contention: that our theology of the Eucharist must take a fresh account of the fact “that Jesus chose to thank God from within the domain of human eating ” (xvii)."